Tips on finding slime chunks? Discussion in 'Community Discussion' started by AmusedStew, Jan 22, 2014. Haste II beacon and eff V pick at y12, mine out EVERYTHING. Eventually in your space your digging out you will notice slimes. Just kill them and next them watch where they spawn from a distance. Plus by doing this at y12 you're also getting some ores..
Pab10S, marine4121, Luckygreenbird and 1 other person like this. 1. Find a mineshaft (or some kind of cave system). Your chances of finding a slime chunk are 10%. Your chances of getting a slime to spawn is even lower. Increase this chance with lights. (xHaro's is the next best way. If you like to mine then I do in fact recommend that method). What xHaro said. Seems like everytime i'm digging out a big room down low I find at least one. Bedrock is a good place to look sometimes. I can't say for certain why but I find them way down there as well. I agree, dig out a massive space and just look for los slimeys. If you need help, I would be willing to either donate some shovels or help dig. I am willing to do anything to help slimes die, after all. Also I found separate chunks my way. They are now farms. You're way might be better. So there's that I guess... so I'll just leave Amused with a tip. Make sure you are below y 40. I got ninja'd so I will point out that even staff (a.k.a Maragaritte) get ninja'd too. IronicSwordPlay degrading staff since 2014! The best way is to hack. Look for any slimes and/or slapping noises. Use swamp biomes. I always find slime chunks when i make a 50x50 box at y12. Make roof 2-3 block taller, and put torches in celling. You need as much spawn spaces at possable. margaritte and Luckygreenbird like this. If you want to know exactly where the chunks are, there are two separate numbers on the debug screen, (opened and closed by pressing F3) that determine which block you are in within a chunk. These numbers can range from 0 to 15. If one of 2 numbers is a 0 or 15, you're standing on the boarder of a chunk. My recommendation is to blockade the chunks so that slimes can't jump into other chunks. For lighting, I would use jack 'o' lanterns because slimes can spawn on them as opposed to glowstone. 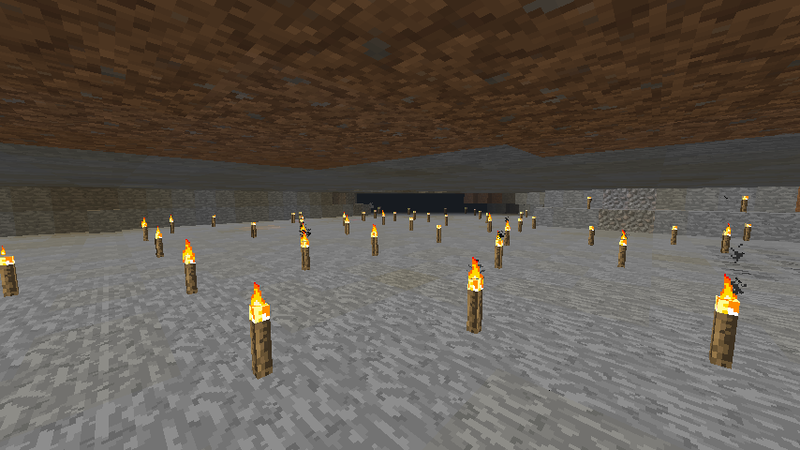 The reason to not use torches to illuminate the area is because according to the spawning algorithm for natural mob spawning, excluding squid or iron golems, the initial block selected must be air. However, a mob in a pack can spawn anywhere in a 11-wide and 11 block-long area around the initial block as long as the mob's hit box doesn't collide with any blocks, or other mobs. Torches, for example, don't have any source of collision to entities, and are able to move through them. Slimes ignore light levels, but they won't spawn on torches. Make it 3 high at least, so the big ones can spawn, and consider lighting from above or using glowstone Jack-o-lanterns. Consider lighting from above or using glowstone. The reason to not use glowstone for the floor is because it's not opaque. According to the spawning algorithm, the block below the initial block, which must be air, has to be opaque.